Melanie F, Eric N, Adam B, & Weston A! Thank you to all who entered the Craft & Lore giveaway! Keep an eye out for more giveaways coming soon! “The Port Wallet is a simple, no-fold, four pocket workhorse designed to carry 7-8 cards in the central pocket, as well as a few bills and a drivers license. With 4-5oz hand tanned leather and saddle stitched waxed polyester thread, this wallet is absolutely built to last — most importantly, it is able to withstand the abuse of day-to-day goings. From trips to the coffee shop on my bike to long commutes in the car, this wallet hasn’t appeared to even begin to wear in any way after three weeks of being in my back pocket. The Port Wallet is built to last. Period. 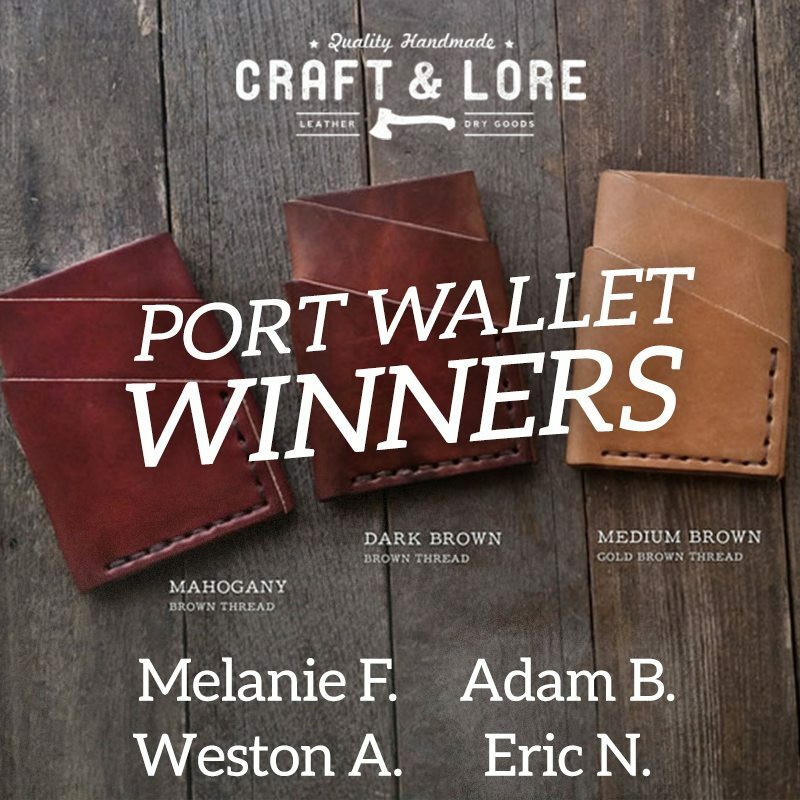 Craft & Lore Port Wallet Giveaway – 4 Winners! This time, we will be selecting FOUR winners, each of whom will be able to choose a Port Wallet in Natural, Medium Brown, Dark Brown, or Mahogany. The giveaway runs from July 16th to July 28th, so enter now for your chance to win!